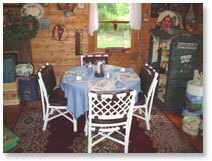 ​ Special - For a total retreat visit at Plant's Herb Farm B & B. If you would like to have the cabin to yourself for your visit, you may rent the entire cabin for $175.00 per night plus taxes. This will insure peaceful relaxing and private visit. Reservations must be guaranteed by credit card or deposit of one night's charge. We accept Visa, MasterCard, personal check or cash. damages sustained during your visit. POLICY, unless we can rent the room again. Check-Out Time - 11:00 a.m. Weekend gourmet breakfast is served 6:00 to 8:30 a.m. Breakfast is a continental during the week. Please mention any dietary restrictions and /or preferences at the time of reservations. Well-behaved children welcome. There will be a per night charge of $20.00 for children over 12. 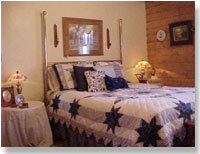 Room rates are based on double occupancy and includes on the weekend a full gourmet breakfast. During the week a continental breakfast is served. The loft bedroom has a private deck with a rustic panoramic view of the valley below. Carved queen-size bed and antique furniture. 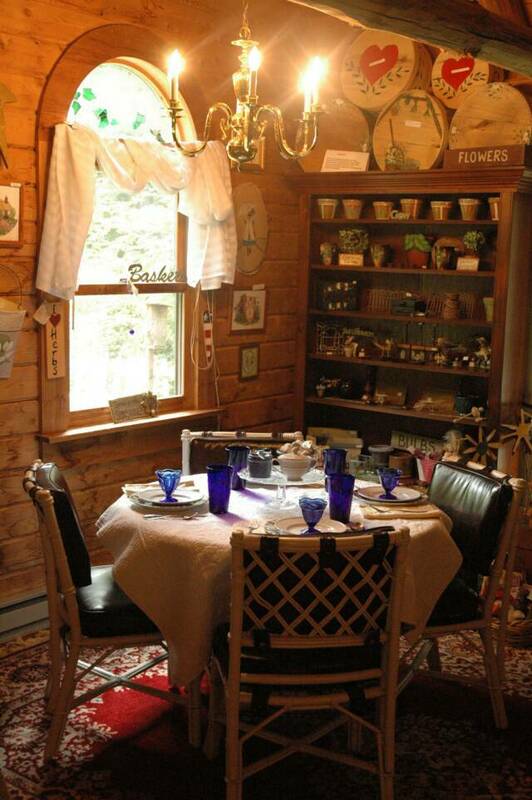 Log Cabin theme graces this room. 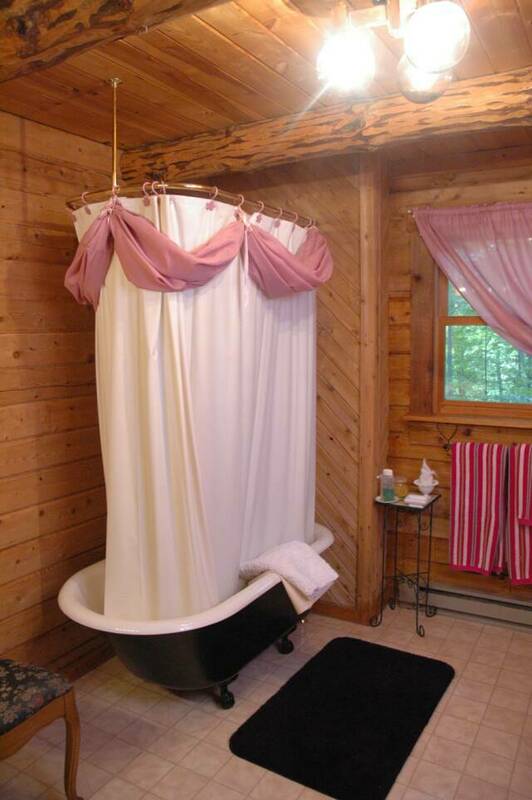 Oversize private bathroom with tub and shower. The corner bedroom nestled in the first floor of the log cabin. Comfortable Queen-size bed, unique hand painted furniture and a private bathroom. 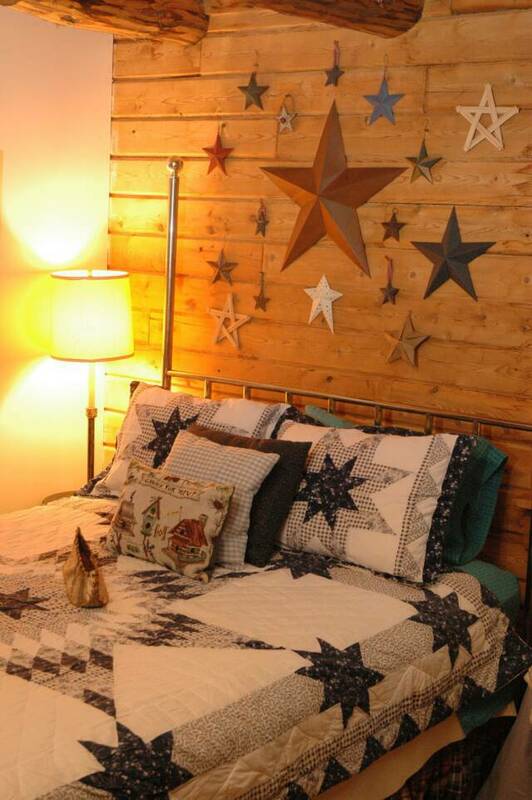 This room is a cozy corner with a county flare. Extended Stays: Visits of more than seven consecutive nights will receive a 10% discount. A 6% Pennsylvania and 5% Mercer County Occupancy tax will be applied to all room charges.